Red-Black silk dupion, with cyan Hebrew letter 'Yod' - the 'secret seed', from which radiate black rays edged with metallic gold tapestry threads. 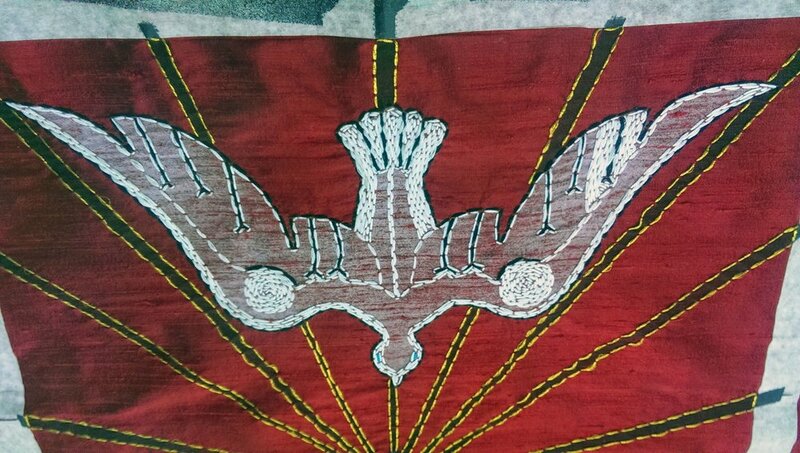 Above this, the gnostic symbol of the descending divine grace, a white dove, is fully embroidered in white tapestry threads, and edged in black. 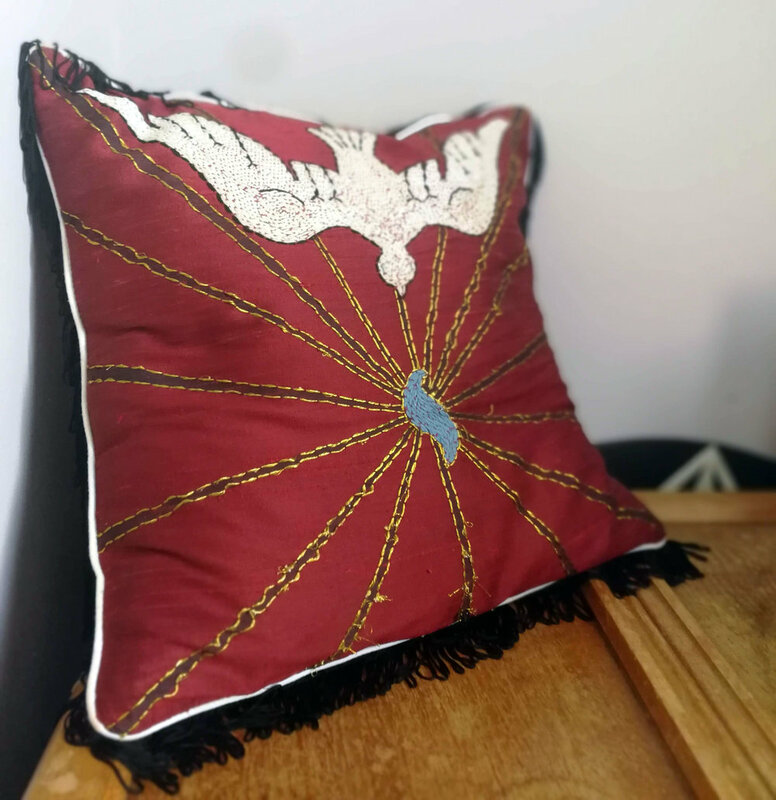 The cushion is framed with black fringing, and backed with a dull crimson linen. This artifact was created for a priestess to sit upon. 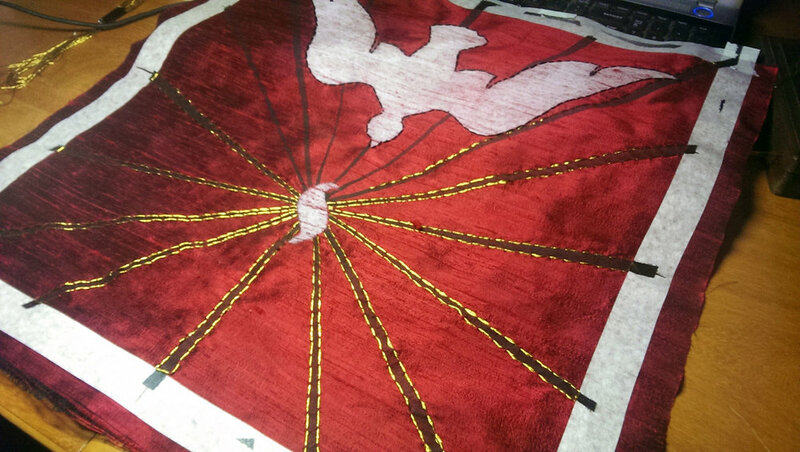 It turns out, this type of embroidery is a REAL a labour of love. It takes AGES, with thousands of stitches on that dove.